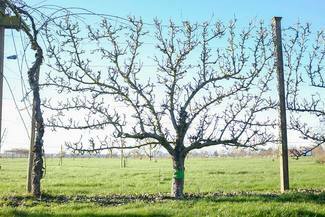 Northwest Fruit formerly known as Western Washington Fruit Research Foundation is pleased to announce that we will be be conducting a series of Saturday work study events in our 6 acre fruit garden. These events will consist of 1 hour of hands on instruction in the garden followed by two hours of volunteer work. There is an instructioon topic list for each session below although we may swap the summer pruning and chip bud grafting. This work may consist of pruning, thinning, netting, planting or whatever the garden manager assigns us for that month. Each session will be led by one or more garden volunteers from the regular Thursday work team. At this time we are limiting each session to 10 participants. You may sign up for one or all. Participants must dress with weather appropriate work clothing, sturdy shoes and bring your own food and drink. Each event is contingent on weather and participatiion. Confirmations/cancellations will be provided Thursday nights before the event. Looking forward to nice day.